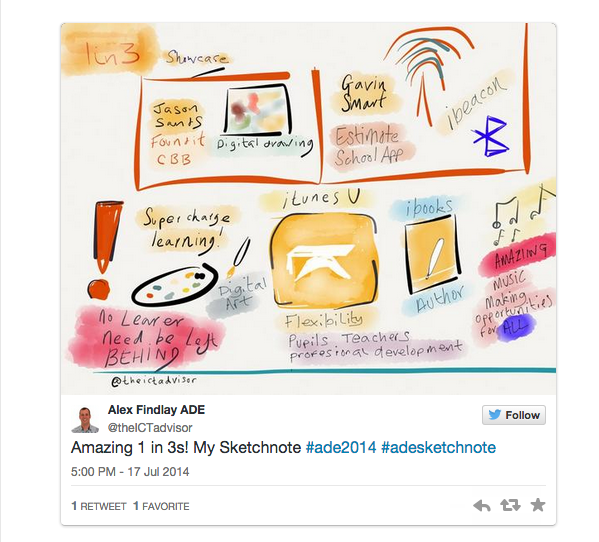 I first came across the idea of sketchnoting last summer when I was reading the tweets from #ADE2014 the delegates had been encouraged to arrange their thoughts on each of the talks as sketchnotes rather than “real” written notes, all done on iPads of course! 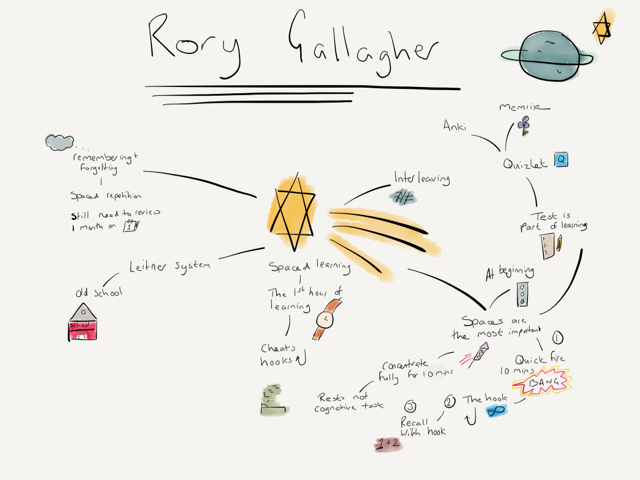 Sketchnoting is doodling whilst listening, the doodles emphasising your notes. 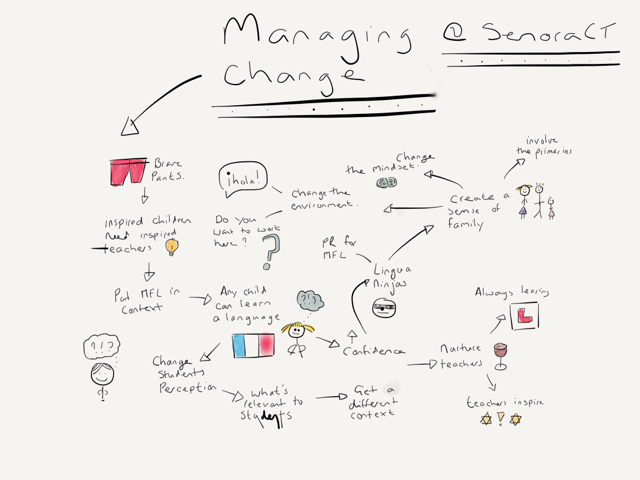 The good news about sketchnoting is that you don’t have to be good at art to do them -phew! 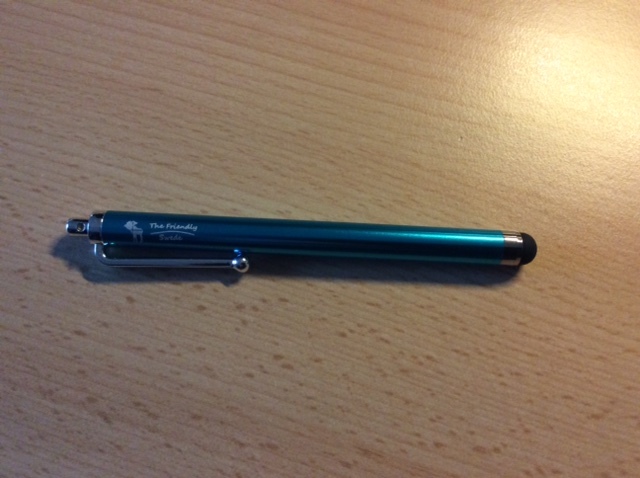 And the second piece of good news is that there are no rules to sketchnoting it is very much an individual thing – Hurrah! There’s something soothing about doodling isn’t there? Afterall, who hasn’t done this during a long phone call to their mum/mother-in-law? In 2009 Jackie Andrade a professor at the University of Plymouth created a psychological experiment to see if doodling was of any benefit to your memory. One group was asked to doodle whilst listening to a phone message and the other group didn’t. The group that doodled retained 29% more information than the group that didn’t. 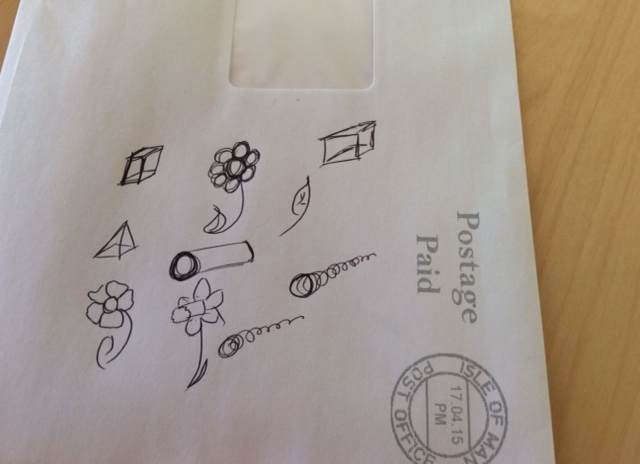 Whilst this is hardly conclusive proof that doodling is a huge aid to memory it does point towards its potential. 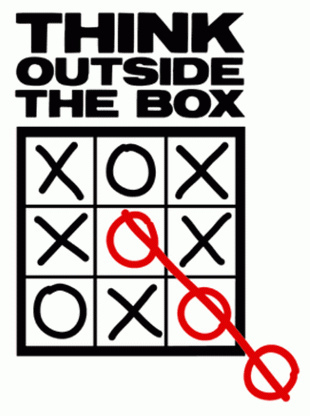 If you are still unconvinced watch Sunni Brown’s TED talk on doodling. 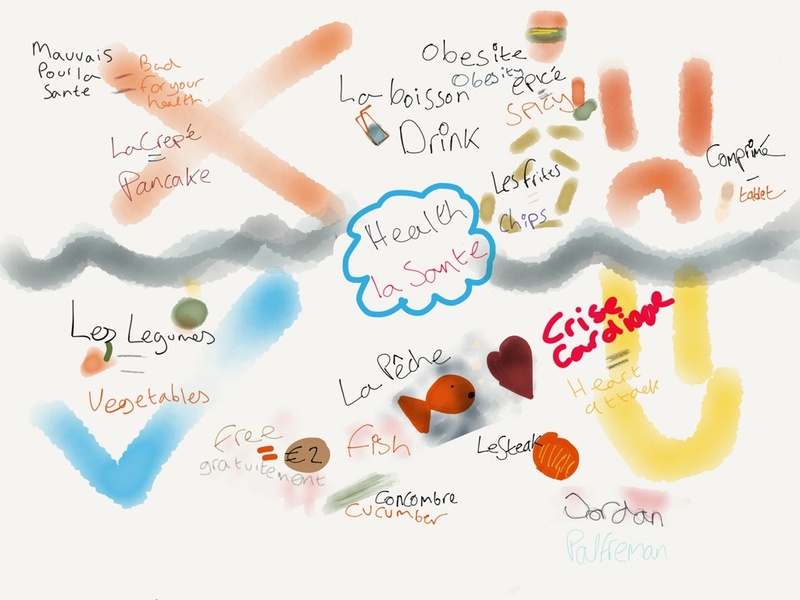 To begin with I showed my students some “professional” sketchnotes just to give them the idea and then I showed them some of mine just to prove that we are all still learning. 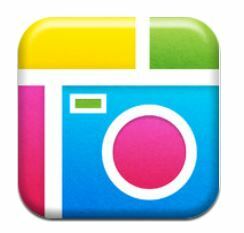 We talked about the app and some of the functions of it, zooming in and mixing colours, rewinding etc. Next I got them drawing. The thing about sketchnoting for me, is that you have to have a bank of simple drawings in your head that you can readily draw without thinking. I gave my class a list of things eg a watch, an alarm clock, an iPad, a car, a tractor, a train, a coffee cup and they had to draw them with no fuss. Now, at this stage we had a lot of “oh I can’t draw..” comments to which I kept saying “wait until we paint them..” and so, once we had sketched we painted our sketches and this was when the students started to enjoy the process because the paint makes the sketches come alive. Next we looked at text and emphasis. We played around with words and underlining and boxes so that when we sketched we could highlight the important elements of our work. The final thing that we looked at was layout. You can sketch using columns, a web, from left to right or in sections. Ordinarily you would sketchnote whilst listening to someone speak but as we were at the beginning of our learning journey the students chose a topic and sketchnoted some key words from that topic. 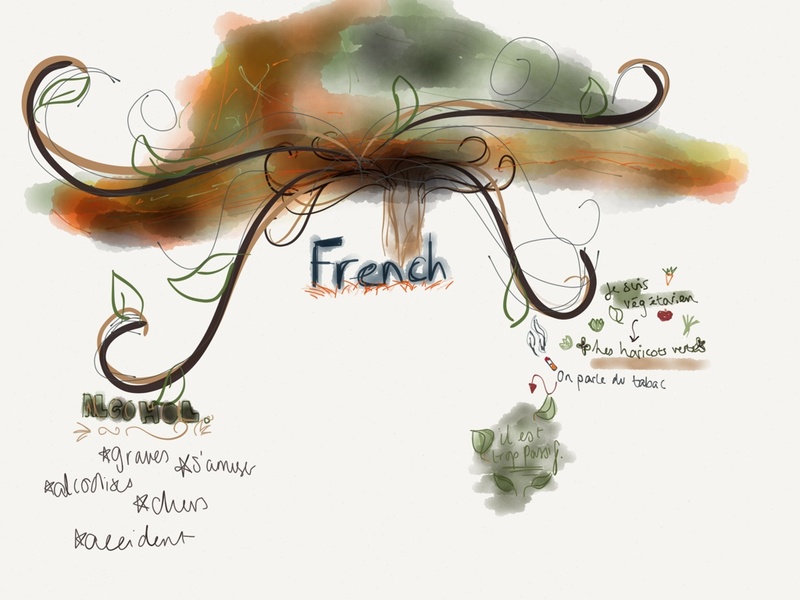 An air of calm and relaxation pervaded the classroom that lesson as students got to work on their sketchnotes, examples of which can be seen below. 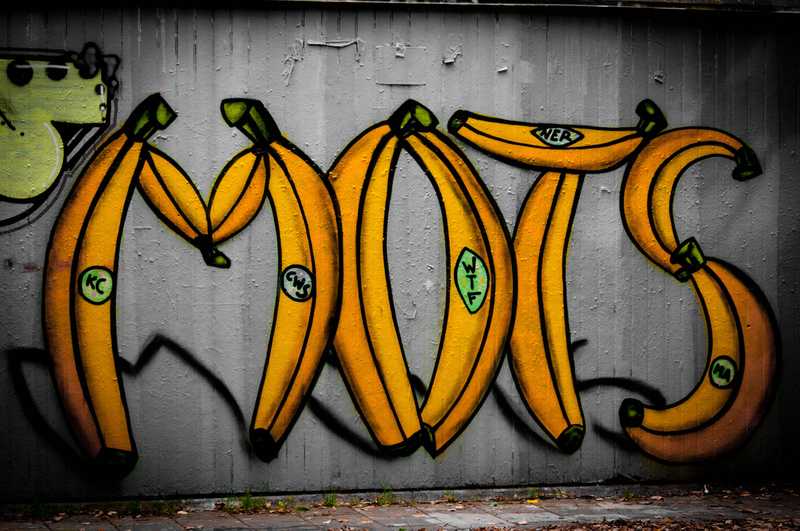 Where would I go with this next in the MFL classroom? Students could record themselves reading out a text and then either listen to their own recording or that of another student and sketchnote the salient vocabulary. They could also read a text and then sketchnote. It could also be used as part of a listening exercise. All of my students enjoyed the sketchnoting experience and many of them noted that it is a skill that is transferable across subjects. If you’ve never had a try I suggest you have a go. 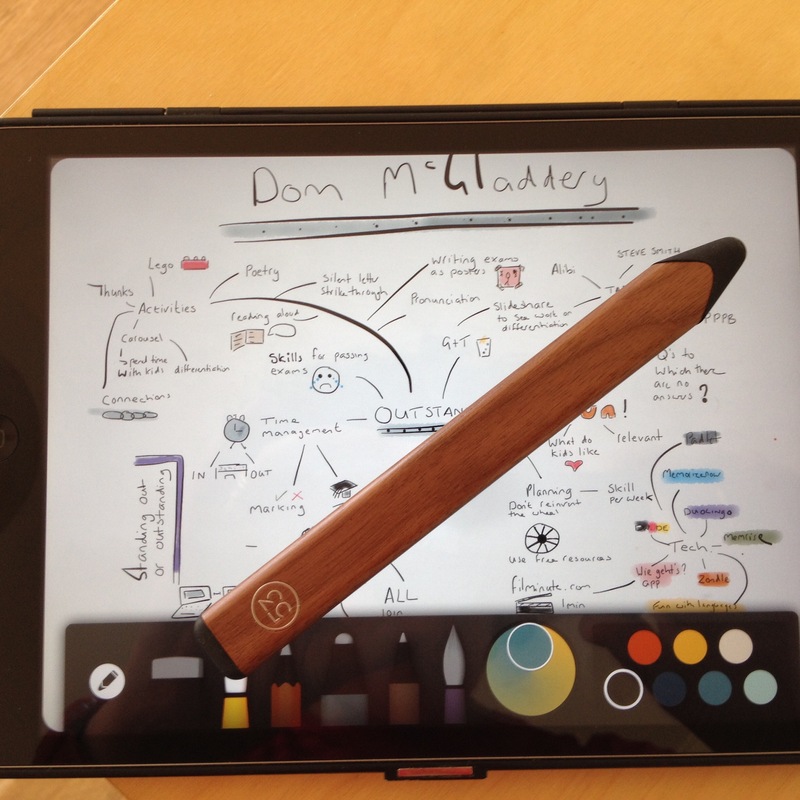 You don’t have to use tech you can use a pencil and paper. Mike Rohde’s website is a good place to start. Have a look at his sketchnotes and his sketchnoting book is also well worth buying. 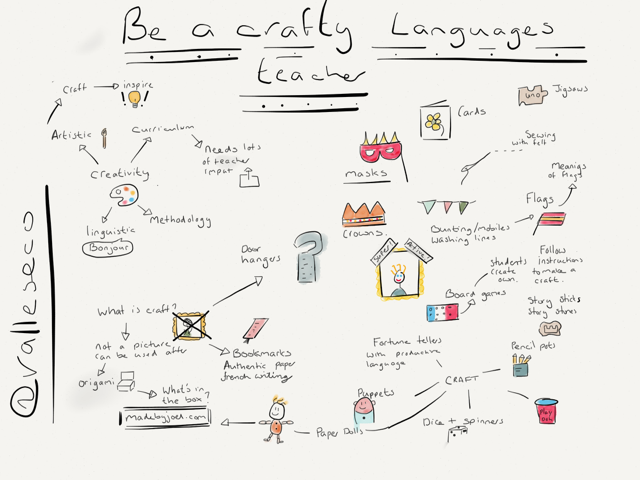 Sylvia Duckworth is also a fan of sketchnoting, she has also blogged about it. I find myself in an unusual and yet a privileged position. I currently work in 2 schools 3 days in my own school and 2 days on supply in another. This has allowed me to have a new perspective on my own practice and it has highlighted some surprising things.18months ago our department were lucky enough to acquire 20 iPads. To be honest our first year with this new technology was not without its struggles. Work flow had to be organised, new routines had to be established and as staff, we had to get used to the new technology that we had been gifted. 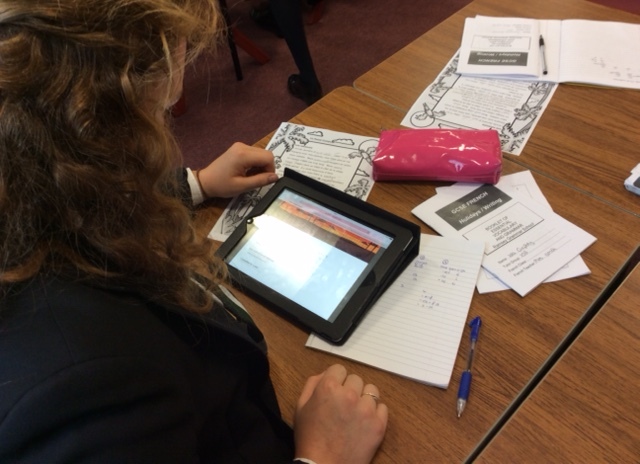 Without doubt the use of iPads has 100% supported the work that we do. 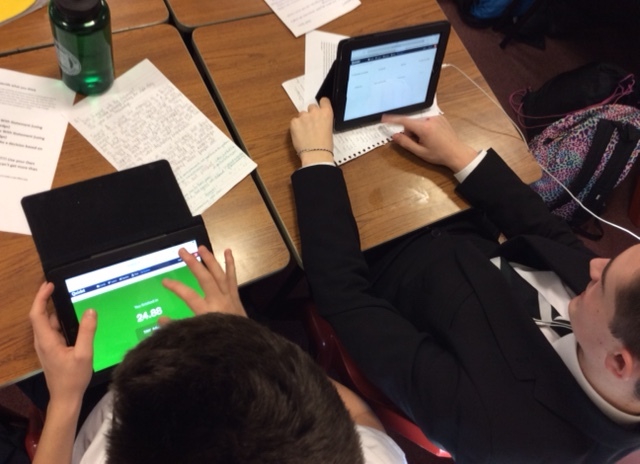 We have seen increased engagement in class, we have been hugely creative in our lessons and our confidence in the use of technology has soared. We have also had our down times, not connecting to the network, lack of Internet and lessons we thought would work that have just simply bombed. 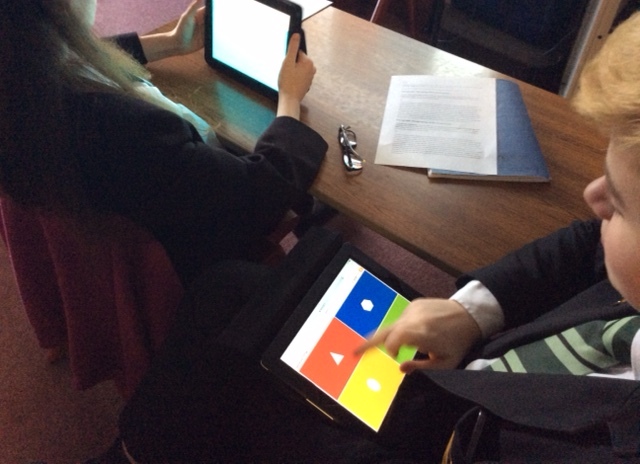 Until now I have not noticed how independent the use of iPads has made our students but they most certainly have. 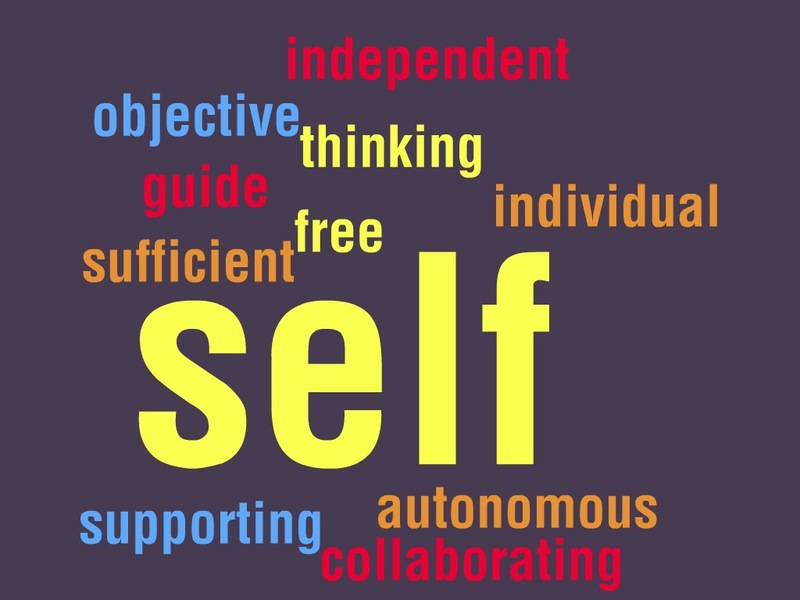 For many a year I have felt, as I am sure many MFL teachers do, like a walking dictionary; “Miss how do you say…?” Even before the advent of our iPads I had tried to encourage independence amongst our students by using the acronym SNOT; self, neighbour, other teacher. 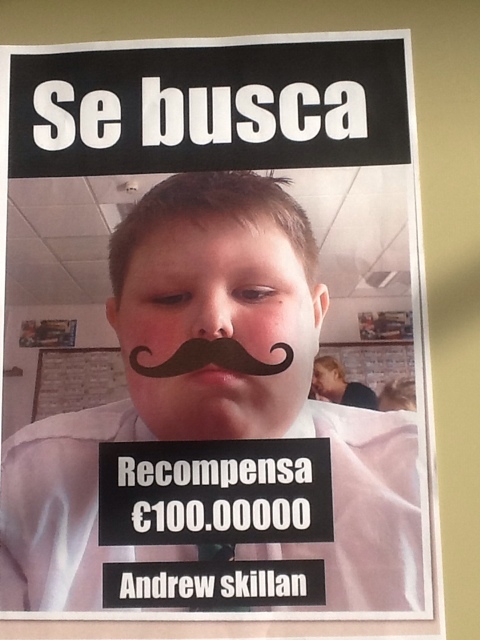 I created some snotty looking posters and readily displayed them around my classroom. The phrase “have you snotted?” became a familiar one in our classroom and yet I never felt that students were really moving towards independence. iPads arrived and the SNOT phrase still rang out in my room. I really felt that we were making no headway with this independence thing at all and yet unbeknown to me we were. Last week it was independent learning week at my other school where students were asked to get into groups and research life in a new country. This was all well and good but they just couldn’t do it. In spite of the fact that they were sat at a computer on the internet I was still subjected to such questions as “is the Ivory Coast in Africa?” “Is the currency of Japan the Yen?” To be fair, I had a bit of an annoyed teacher rant that they had all the information at their fingertips and that they really didn’t need me, but to no avail. The lesson was a bit like swimming in porridge to be honest but we gallantly ploughed on. This got me thinking, this wouldn’t have happened at my school I simply knew that it wouldn’t but why? At the beginning of our iPad adventure I set up some simple classroom routines based around getting the iPads out, logging into the network and doing it without fuss or bother. I taught the students simple finger gestures so that they could efficiently and effectively use the technology. 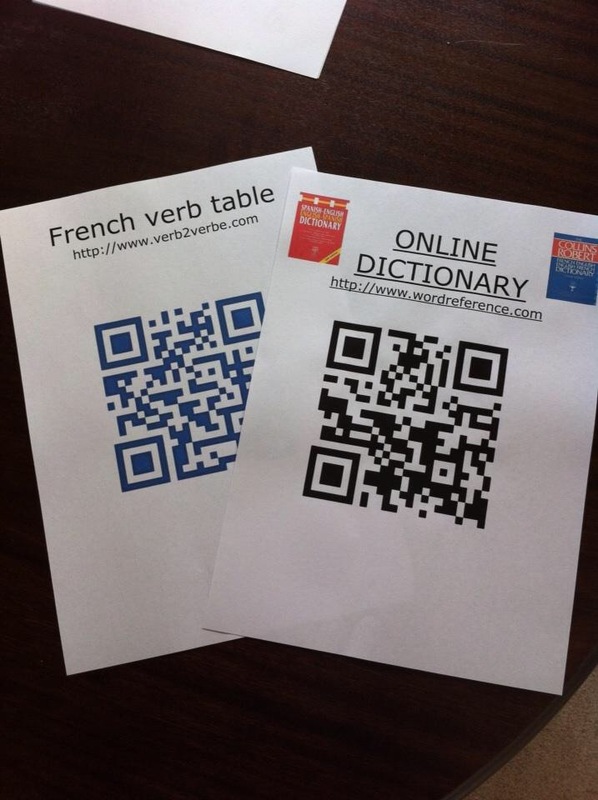 I then placed some posters of QR codes on the classroom walls, these linked to basic language tools like an online dictionary and an online verb table. 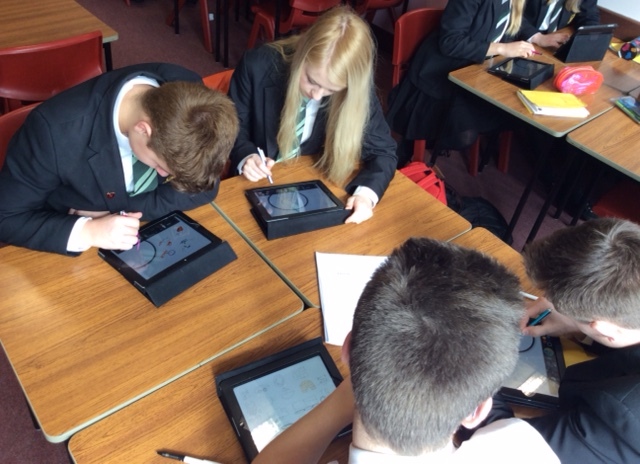 Throughout our 1st year with iPads we experimented with a variety of apps with differing degrees of success. Nearpod was very effective and the students enjoyed working through the online tasks that I set them. As we only have 20 iPads students often shared but this still worked well as they discussed their learning with each other. Apps such as bookcreator and 30hands helped to promote both writing and speaking in the target language. 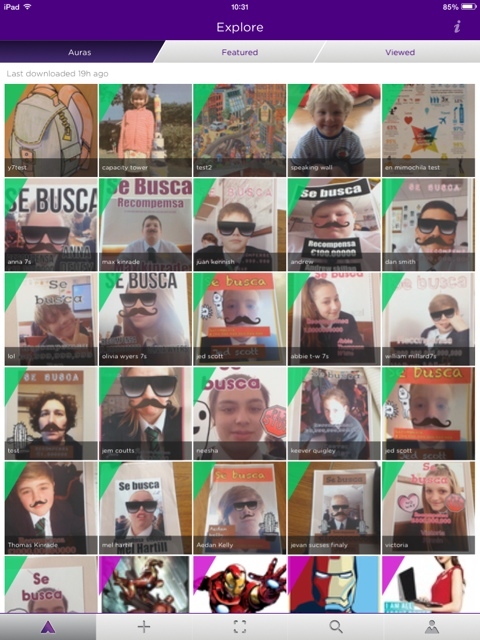 As we grew more confident, we began to try some simple and then some more complicated app smashes these can be reasonably tricky and require some serious thinking, collaborating and creating from the students. What’s more, once given a task they just get on with it whilst I act as their guide. 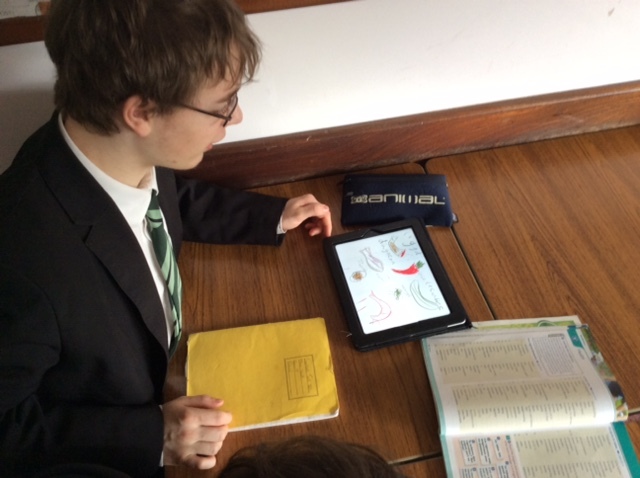 More recently I have been using the excellent iTunesU App to help promote independent learning. The courses are incredibly easy to set up. 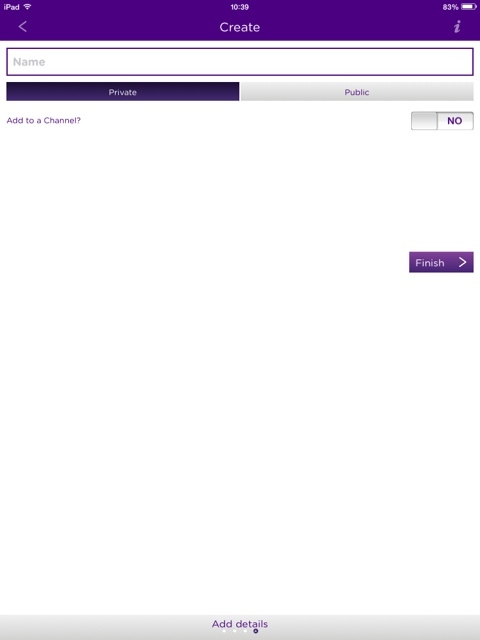 You will need an iTunes account to be able to create and manager your courses. You simply need to log into iTunesU manager and then it is just a case of finding all the materials you are going to use in your topic and dragging and dropping them into your iTunesU course. 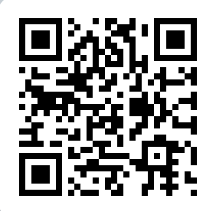 Courses can be made public or private, mine are private at the moment, students need either a link, maybe via QR code or an enrol code in order to enrol in your course. Once in, they can access all the materials in there. By giving students access to all of my materials it has helped them hugely when preparing for controlled assessments as they can easily refer back to previous lessons or they can check online grammar lessons that are also uploaded to the course. Students can work at their own pace, as once they finish a piece of work they can easily move onto the next in the course without fuss, bother or paper! Listening tasks can also be uploaded to the course which enables students to control how often they listen to at ask and which parts of that task they listen to again. It has taken some time but students are getting used to the idea that the classroom is not focussed on me or the whiteboard. It’s about them, their peers, collaboration and independence. These days and without me even noticing, I rarely get “miss how do you say…?” In fact I very rarely to say “have you used SNOT?” The reason for this is the effective use of technology in the classroom. Students now know that if they want to look up a spelling or gender they simply scan the relevant QR code and bingo they have their answer. They are used to working together to create and overcome challenges that they have come across through our app smashes or through the use of apps such as nearpod. I have never explicitly taught these skills although I have always tried to foster them and yet my students are becoming more and more independent and confident in their handling of the language. This shows itself in their written and spoken work whereby they are writing phrases, sentences and indeed whole paragraphs off their own backs, not simply vocabulary that I fed them but stuff that they have found, created and worked on. 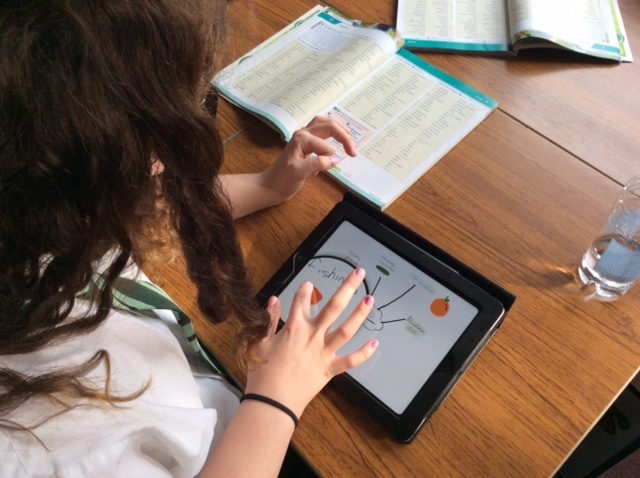 So when other teachers ask me have iPads had an impact in my classroom?I can categorically say yes they have but the move towards independent learning is often shadowy, it creeps up on you and suddenly you have that moment when you have your eyes opened for you and it’s there for all to see – independence in all it’s glory! 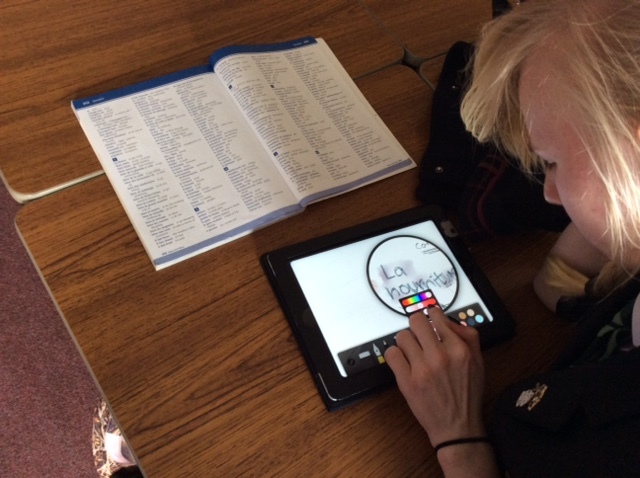 What does a lesson with iPads look like in the Modern Foreign Language classroom? Y10 French GCSE preparing for written controlled assessment about holidays. O9:10 – Students enter the room collect an iPad from the trolley, log onto the Internet filter and scan a QR code displayed on the interactive white board. This is all perfectly routine and the students just get on with it. 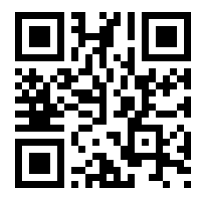 The code links to a pre prepared Google form containing questions about the verb aller. Whilst all this is happening I take the register. 09:15 All the answers have appeared in my answers spreadsheet on Google docs. I quickly pass the Google add on, Flubaroo over the form and it marks it for me. From here I can see which students have a good knowledge of the verb Aller and which don’t. I share the lesson objectives with the class – we will be working on forming the future tense in French. 09:25 Students connect to a “bulb” that I have created for them in Educanon.com. 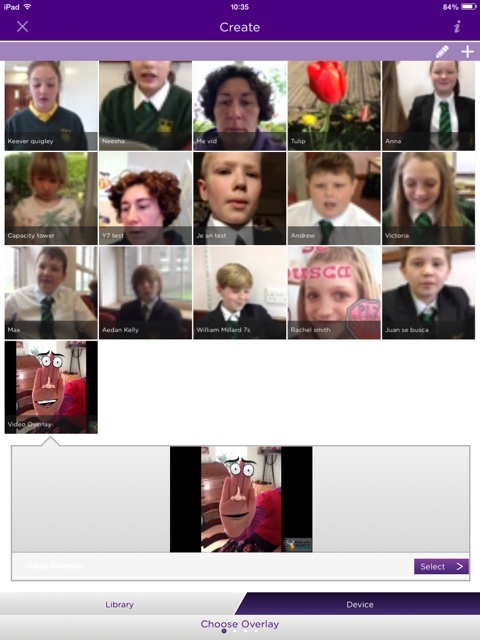 Educanon is a Web 2.0 tool that allows you to add questions to a video, the video pauses as students answer the questions. 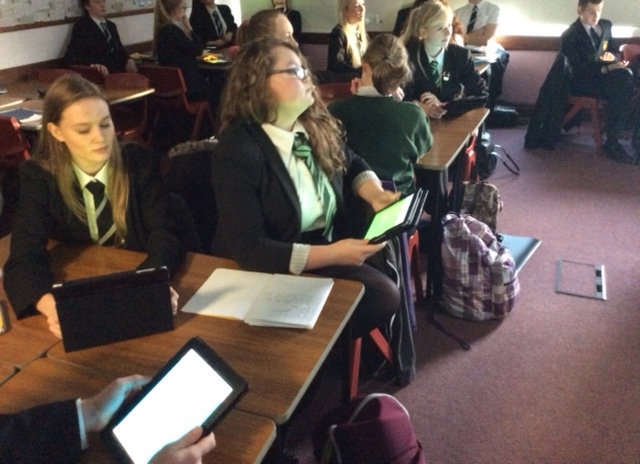 Y10 watch a YouTube clip about forming the near future tense in French and answer questions regarding the clip. I meanwhile, can monitor their answers on my laptop. 09:35 All students have finished the video exercise and we come together as a class to discuss what we have watched. I can see from the educanon feedback form that 90% of students have a good understanding of the grammar point. 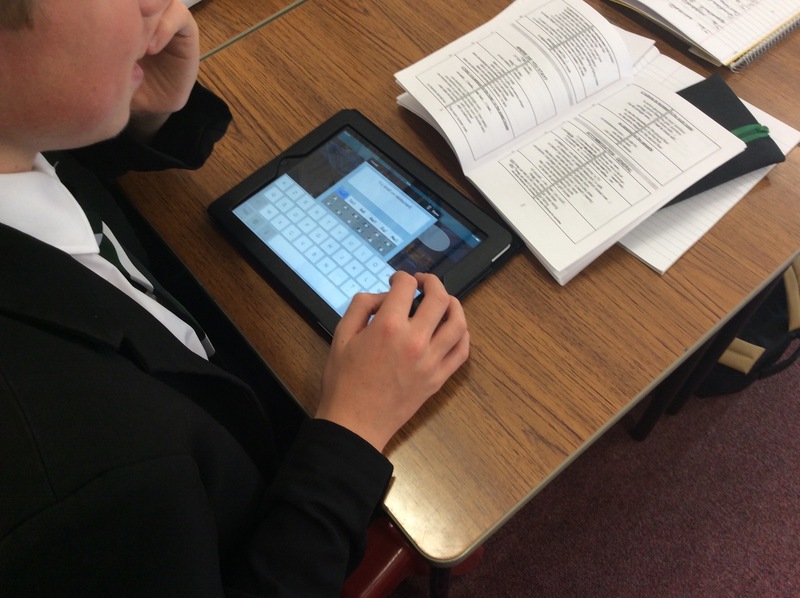 09:40 Students are asked to create a short screecast using the Showme app explaining how to form and use the near perfect tense in French. They all log on to the same account but they could all log on individually and email you the results. Whilst the students are working on this I head over to the students who appear to not yet have fully grasped the concept for a quick chat to try and clarify things. I now have some real tangible evidence, in the form of a screencast, as to how much the students have understood about the lesson. I spend an hour that evening watching them all and noting down misconceptions ready for discussion in the follow up lesson the next day. We don’t always use iPads in my classroom, sometimes a pen and paper works just fine however, the beauty of the iPad or any other mobile device for that matter is the ability to be able to “observe” the actions of the students and feedback instantaneously, allowing us as teachers to correct mistakes and misconceptions quickly and easily. It also allows us to direct our help to the students that most need it and most importantly, the results can bring about some hugely interesting classroom discussions. 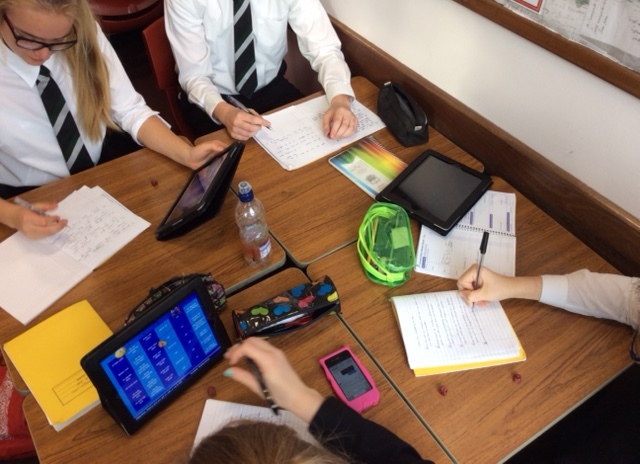 iPads are simply another classroom tool but used effectively and wisely they can have a huge affect on lesson outcomes and thereby learning in the classroom. Before I begin I must state that this is by no means my idea, I have to thank @ipadwells for this and you can see his explanation of various apps smashes here. It was whilst watching this fabulous presentation that I began to think that I could apply some of the ideas to my own classroom. 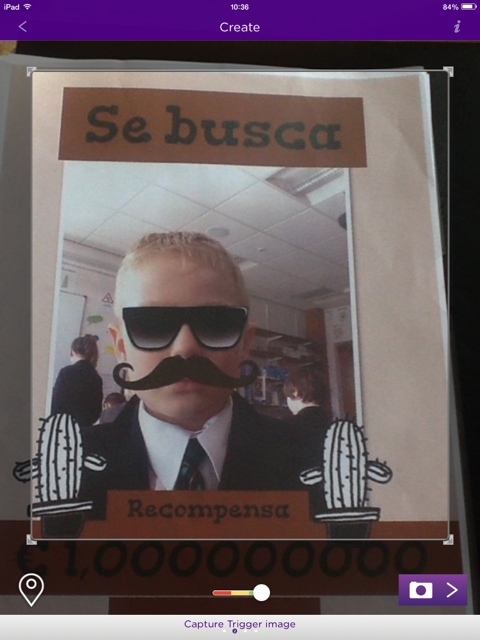 We have had 19 iPads since September in the department and my Y8 class have become quite proficient at using them and I thought they would be up for an app smash challenge. 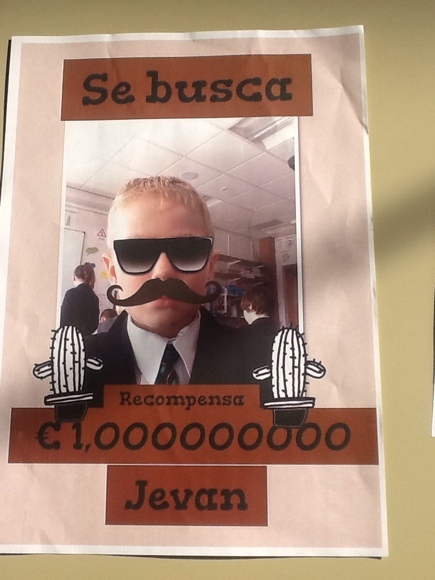 We have been studying vocabulary and phrases in Spanish about places around town and directions. 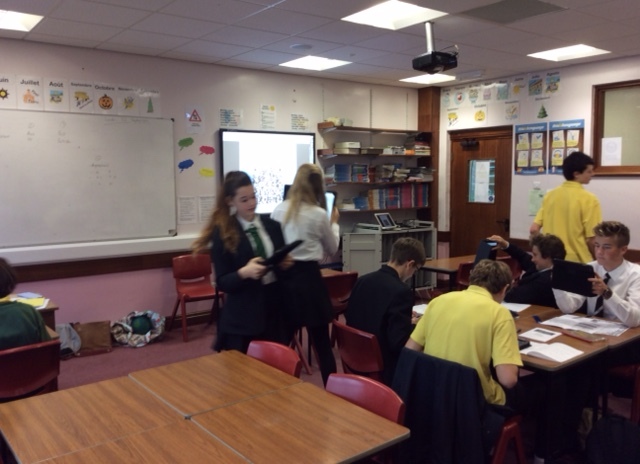 Although this is a year 8 class they have only had about 8 months of Spanish teaching in this time as we rota around with French lessons every half term. We had got to a stage where we were saying what there was and wasn’t in a town as well as giving some basic descriptions. In order to make this unit a little more Spanish in feel we have been studying the town of Granada. Our first app smash got the students to give directions around Granada details of which can be seen here, so it was natural to use Granada as our “base” again. 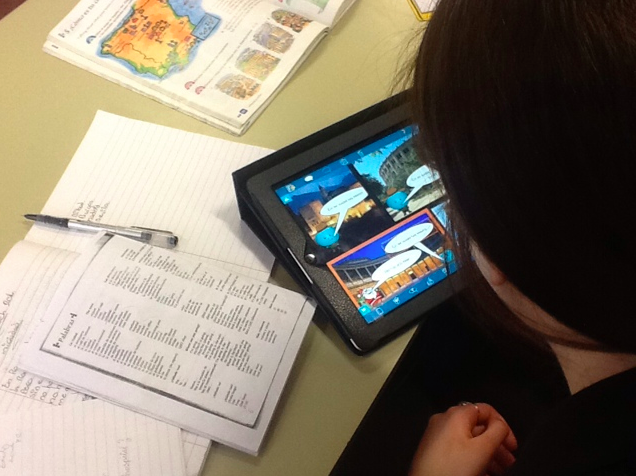 To begin with students had to use the comics head lite app to create a comic stating what there was and wasn’t in Granada. They chose pictures of the places they were describing from the internet and set them as the back ground on the comic, they then had a character staying what was in Granada e.g. En mi ciudad hay un palacio. Once they had finished their comic they took a screen shot and saved it in their camera roll. 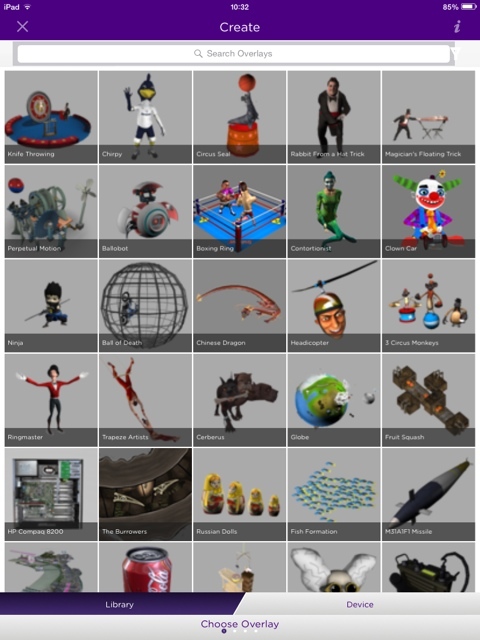 The next step was to use the tellagami app to create short videos for each section of cartoon that they had previously made, they made the background on their tellagami to be the same as the background of the appropriate bit of cartoon that they were talking about. All of their tellagamis where saved into their camera roll. The final step was to put it all together into the Thing link app. They used their screenshot of their cartoon as the main picture in thing link. 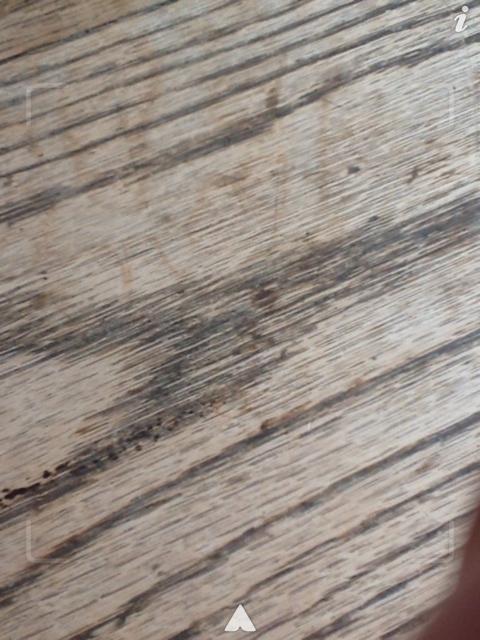 The cool thing about this app is that it allows you to create “hotspots” on the picture which link to either text or video which makes it perfect for using in app smashing. 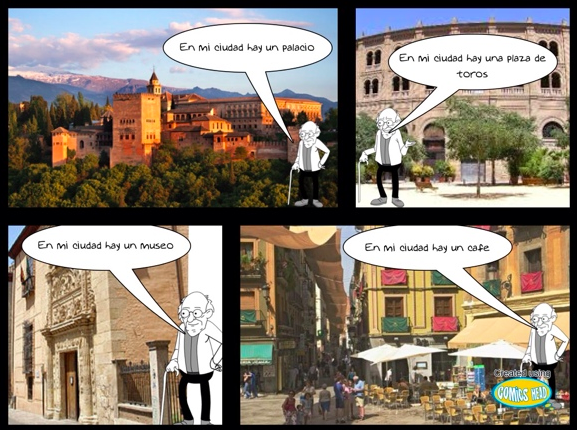 My students imported their videos onto the relevant bit of their cartoon picture and then added some text to describe the places in Granada. The results were great and the students were very proud of their work. The next thing for them to do is to present their work and do some peer marking using 2 stars and a wish. The students really enjoyed this task and were very focused an involved when creating it, they are really beginning to see the creative possibilities of the iPads now and I know for this class in particular when it comes to using mobile tech in the classroom the sky’s the limit. 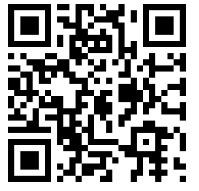 If you would like to see some of their interactive images please scan the QR codes below.